Are you ready to embrace the philosophy that a wise woman says “no,” but aren’t sure where to start? 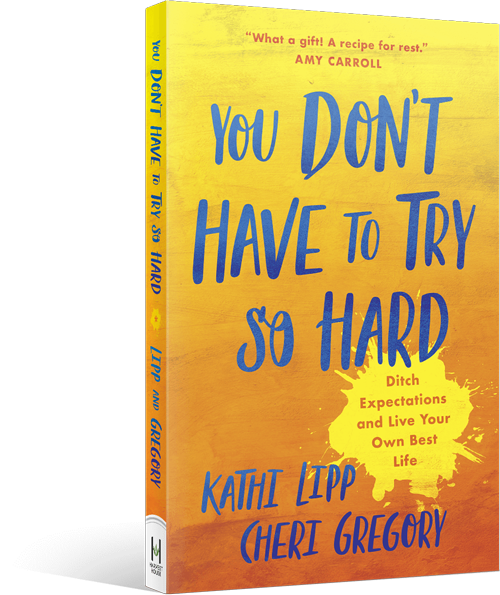 When I reviewed You Don’t Have to Try So Hard earlier this week, I shared my top two pieces of advice on the subject: You need to filter requests and you need to use the word “no” as a complete sentence — N-O-Period. That sounds nice and all, but how? How do I filter requests? I, too, struggle with the “how” when it comes to implementing words of wisdom I find on the internet. Advice is nice, but I need practical tips on how execute. That’s why I recorded this 10-minute video to share with you. There’s not much to be said about treating “no” as a complete sentence other than the scripts I’ve already offered. It’s just a matter of being willing to stop talking after the “no” comes out of your mouth. Filtering requests, on the other hand, can be a little nuanced. That’s where this video comes in. I hope you find it valuable as you work toward saying “no” to the little things to make room for the bigger “yes” opportunities to come. ACT NOW: There’s still time to join the online study of You Don’t Have to Try So Hard over at the Clutter Free Academy Facebook group. Get your book today or find out more information at YouDontHaveToTrySoHard.com. 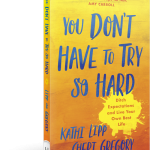 WANT TO WIN A COPY OF YOU DON’T HAVE TO TRY SO HARD? Comment below and share your favorite tip from the video, and you’ll be entered to win your own copy of the book. Giveaway will be held in October 2018. Tonya Kubo is a full-time working mom of two spirited girls living in the heart of California. She counts her husband, Brian, as Team Kubo’s MVP. Connect with Tonya on Facebook or by commenting here.